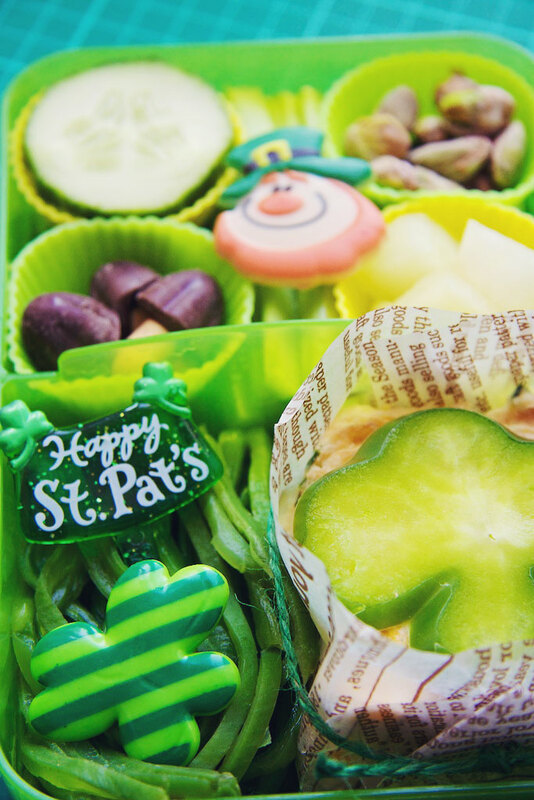 Celebrate the day of St Patrick on Sunday with a brilliant Bento lunch or tea! 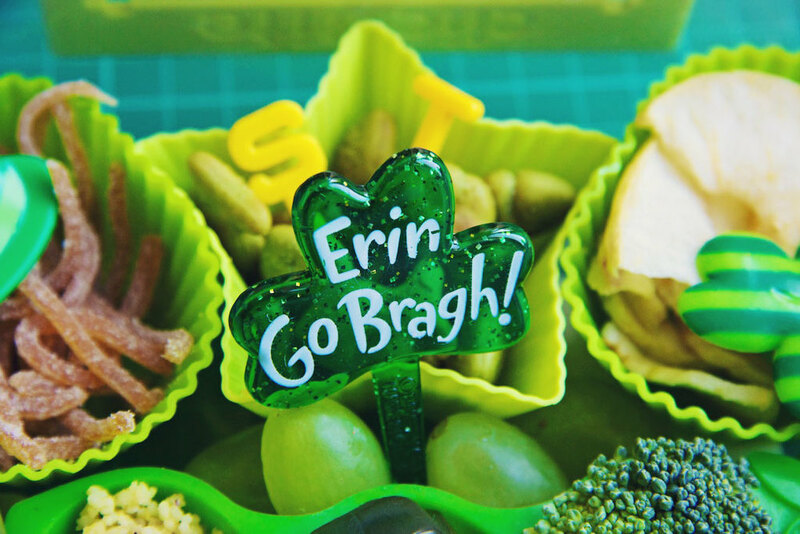 I love the idea of a single colour Bento and St Patrick’s Day gives you the perfect excuse to get them eating greens. I will definitely make this up again for a rainbow week and involve Sammy by encouraging him to pick a colour for each day of the week. I’ll save the sweet picks and leprechauns to use again next year. What a feast! And not a single slice of bread. It’s great to get little and bigger ones experimenting with flavours and textures, so little portions of so many different foods can really expand their palette. What else would you add that was green? My boys aren’t big kiwi fans which is a shame! If you want to learn more about the principle of Bento, have a peek at my page Bento Babies, which explains more and there is a handy Bento filler ideas image you can use, to get you started. If you have had a go at a Bento meal this week, please leave a comment and your link, so I can see it and add it to the Bento Babies Pinterest board. Sharing the love of Bento.